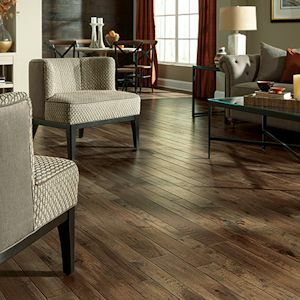 Somerset hardwood flooring is manufactured in Kentucky and for over 20 years have been producing some of the most beautiful and affordable wood flooring seen in today's market. 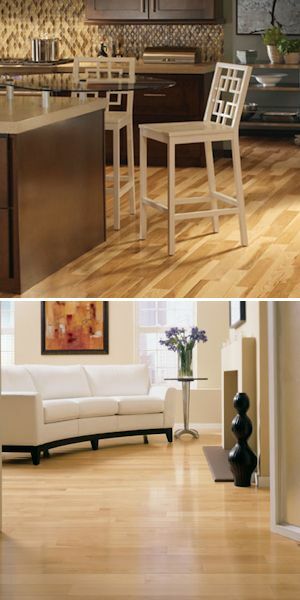 They specialize using only the best Appalachian hardwoods which are prized for their exceptional quality. All Somerset products are 100% made in the USA. 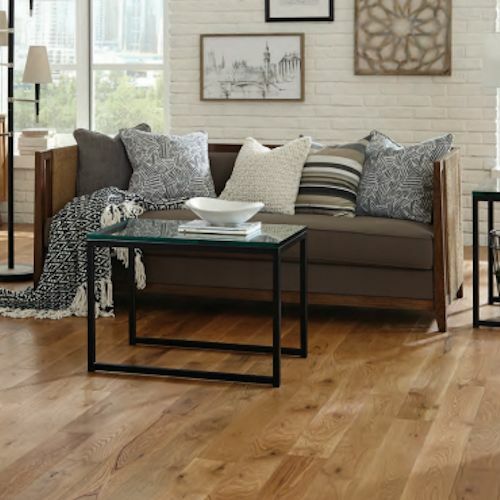 Whether your decorating tastes are traditional or ultra-modern, one of these Somerset prefinished wood flooring styles will complement your room beautifully, and will add immeasurable value to your home. 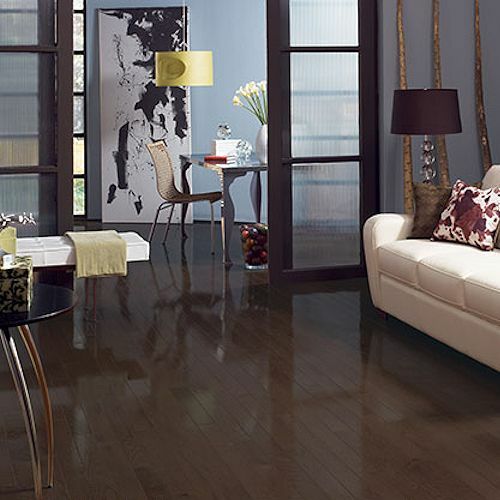 Somerset hardwood floors also manufacturers one of the finest engineered wood flooring collections. To achieve the uncompromising high quality standards that are mandatory they continually invest in the most modern manufacturing equipment. 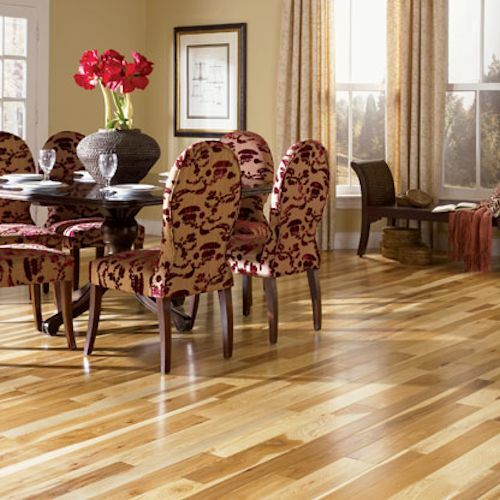 Somerset Hardwood Flooring is also an environmentally sound choice as trees are a renewable resource. Somerset wood flooring supports sustainable forestry initiative. View Somerset's Warranty commitment. The Color Collection from Somerset is created from Appalachian Oak and available in both Natural and popular stain colors. Prefinished with Ultimate UV-Cured Aluminum Oxide/Urethane, Somerset offers its most popular collection in both Solid and SolidPlus Engineered constructions. 50 Year Residential Warranty & 5 Year Commercial Warranty. 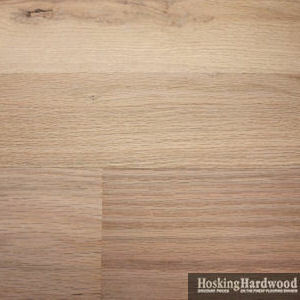 Appalachian Hickory and Maple are beautiful alternatives to the traditional Oak flooring option and are available here in the Somerset Specialty Collection. Prefinished with Ultimate UV-Cured Aluminum Oxide/Urethane, Somerset offers these beautiful wood species in Natural and popular stain colors. Available in both Solid and SolidPlus Engineered constructions. 50 Year Residential Warranty & 5 Year Commercial Warranty. Somerset Hardwood created the Character Collections to showcase the naturally occurring character marks, darker grain and color variation of domestic wood species. Choose from either a 3/4 IN. solid construction or a 1/2 IN. engineered construction as both are offered with a 50 Year Finish Warranty and a Lifetime Structural Warranty. Character Collection Engineered 3-1/4 IN. Character Collection Engineered 5 IN. 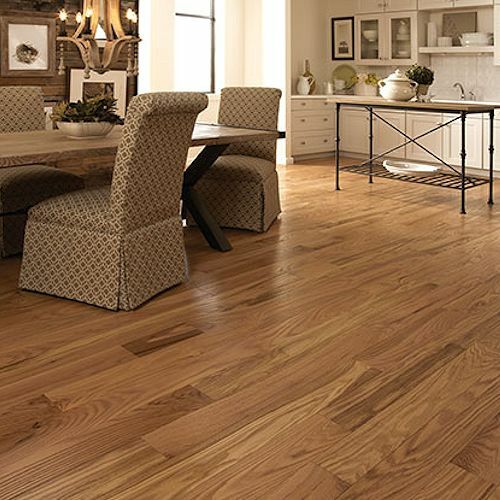 The Somerset Handcrafted Collection features a variety of wood species and widths in a 1/2 IN. thick engineered construction. This collection has a 3mm thick sawn wear layer for a traditional solid floor appearance. Surface of this Handcrafted Collection features subtle scraping and texture along with some darker grain patterns and character marks. Available in wide plank style as well as in random width cartons. 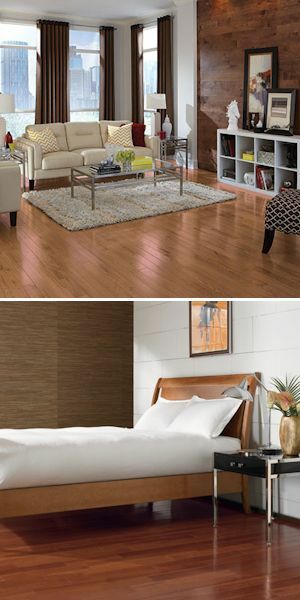 This collection from Somerset Hardwood Flooring features super wide boards in their SolidPlus engineered construction. Find Red Oak and White Oaks in a 7 IN. width and Maple and Hickory planks in a 6 IN. width. The wide surface of the plank showcases the natural character of each wood species beautifully. The Somerset SolidPlus collection offers a 3mm thick wear layer on an 8-ply engineered construction. It's finished with their Ultimate UV Cured Aluminum Oxide Urethane and is offered with a 50 Year Residential Finish Warranty (Lifetime Structural). Made in the USA. 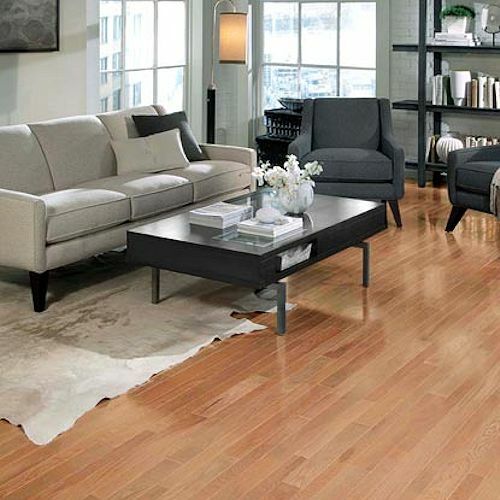 The Classic Collection from Somerset Floors offers all their most popular colors on a Red Oak wood species. Available in both a 3/4 IN. thick solid strip and plank as well as the extraordinary SolidPlus 1/2 IN. thick engineered construction. Somerset finishes their Classic Collection with their Ultimate UV Cured Aluminum Oxide Urethane and it's covered by a 50 Year Residential Finish Warranty (Lifetime Structural). Made in the USA. This new collection from Somerset Floors combines the subtle surface texture of their Classic Collection and the natural character, color variation and knots of their Character Collection and is aptly named the Classic Character Collection. Available in both Solid and SolidPlus Engineered constructions. 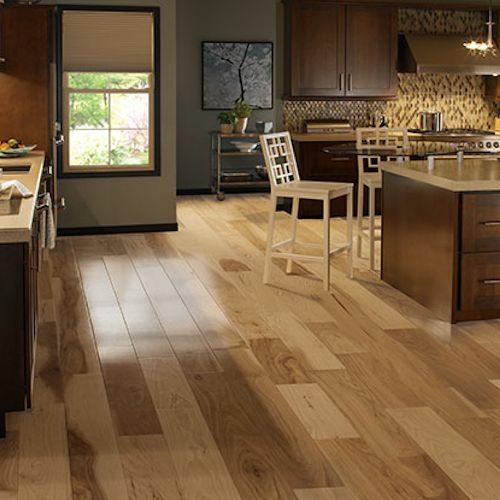 The Homestyle Collection from Somerset Hardwood features Appalachian Oak flooring with eased edges and ends. Available in both Red Oak and White Oak wood species and all the most popular stain colors. Somerset offers the Homestyle Collection in two popular widths in a standard 3/4 IN. solid construction. 50 Year Finish Warranty and a Lifetime Structural Warranty. For homeowners who prefer the look of a glossier finish, Somerset offers this High Gloss Collection of solid oak flooring. This collection features the most popular Somerset stain colors as well as Red Oak Natural and White Oak Natural. Finished with Somerset Ultimate UV Cured Aluminum Oxide Urethane, the high gloss collection is covered by a 50 Year Finish Warranty, Lifetime Structural. Crafted from superior Appalachian Mountain region species, Somerset is known for their high quality, solid hardwood flooring. Somerset is now proud to offer a 1/2 IN. thick unfinished engineered hardwood flooring collection, produced in their new Crossville, TN plant. This unfinished engineered collection features a 3mm dry sawn wear layer, pressed to a 7 ply cross grain Birch core. Constructed with CARB II compliant material, this unfinished engineered collection from Somerset has absolutely no added formaldehyde. By using a dry sawn technology, this unfinished engineered from Somerset offers the exact same look of solid hardwood flooring once it's down.